Mr. Harold Dean King, 86, passed away on Saturday, August 11, 2018 at his resident. He was a native of Columbus, Ga. and lived in Glennville, Ga. for ten years. He retired from the Sunshine Biscuit Company of Columbus, Ga. 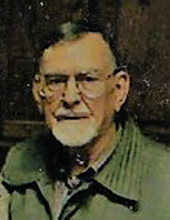 He is survived by six children: Randy King (Laurie) of LaTrobe, PA, Dennis and Mark King both of Columbus, Ga, Susan Morgan (Wilton) of Ludowici, Ga., Kelly Edge of Glennville, Ga., Karen Stafford (Dale) of Ludowici, Ga., 12 grandchildren and a host of great grandchildren, other relatives and friends. To send flowers or a remembrance gift to the family of Harold Dean King, please visit our Tribute Store. "Email Address" would like to share the life celebration of Harold Dean King. Click on the "link" to go to share a favorite memory or leave a condolence message for the family.